Curating the conditions to reimagine our relationship with nature by connecting people, place, and planet. Pop Up Foundation is an ecological enterprise which addresses the central challenge of our time: decoupling human progress from resource use and environmental decline. 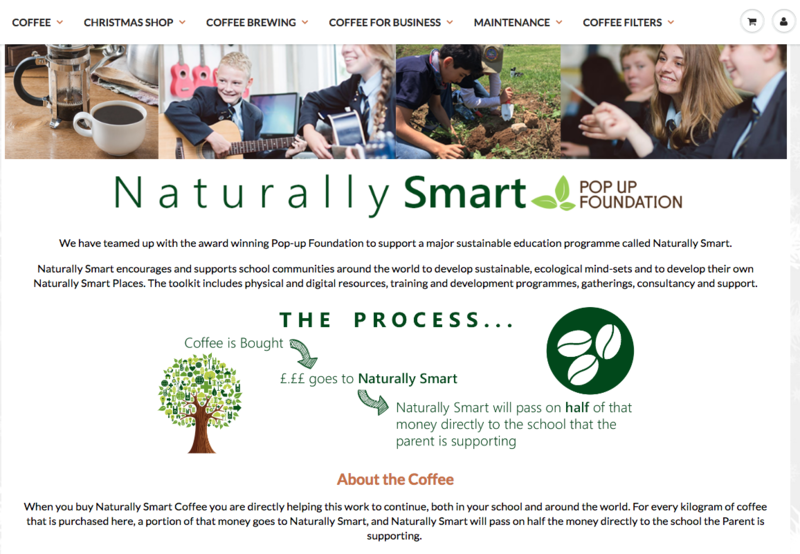 To do this, Pop Up Foundation brings ideas and practical action for sustainable living to people in a coherent, accessible form, focused on practical action. We know that a deeper relationship with our environment has a powerful healing effect for the people and for the earth. So we work with people in their places to design solutions based on daily life needs which are guided by the ethic of care - for th epeople and for the planet. This is both empowering and positive, in times of change it is a hopeful message for humanity to connect with. We have learnt that all the small changes that we can make in lots of different places can be accumulated, shaped, recorded, and connected. By doing this we all gain because we have a greater compound effect. We observe, study, guide and inform our focus on Place through a set of simple and powerful development programmes, these are explained further below. 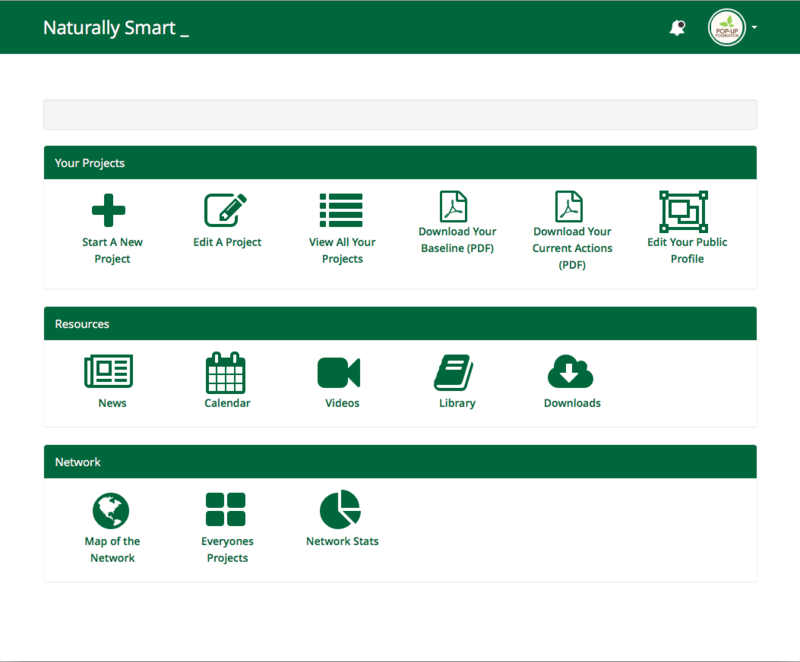 The toolkit includes physical and digital resources, training and development programmes, gatherings, consultancy and support. We provide Ethically Traded Coffee with the profits going back into sustainability projects. 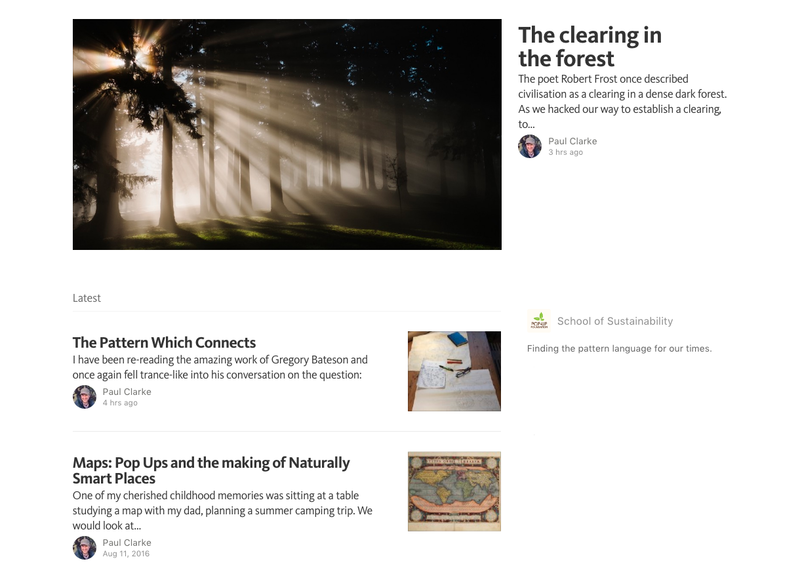 Read our journal of news, information, and thoughts on sustainability. 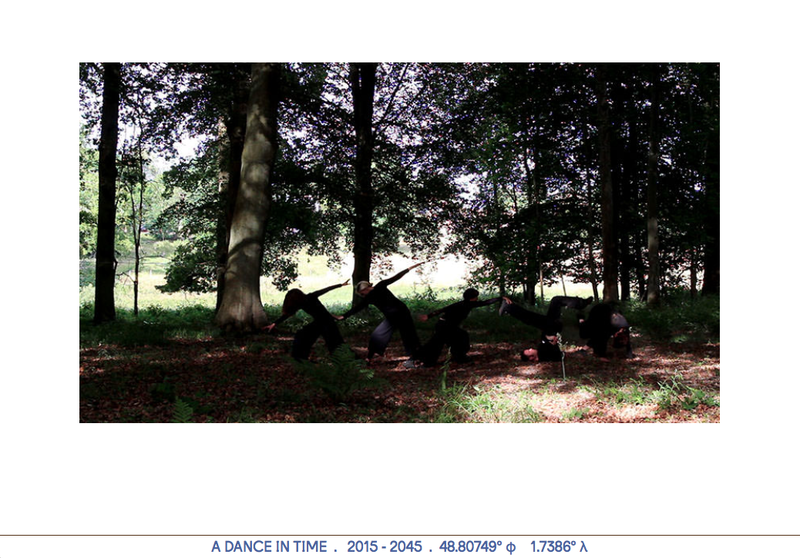 A Dance In Time is a longitudinal study of our relationship to nature. Over a 30 year period (2015 – 2045) we will invite artists, scientists, writers, performers, and others to research and present work in Millemont forest, with one condition to leave no trace after our time there.